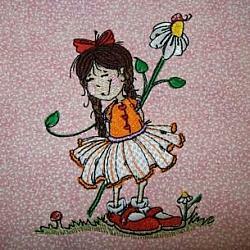 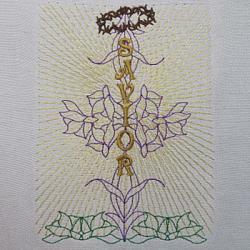 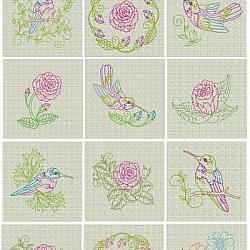 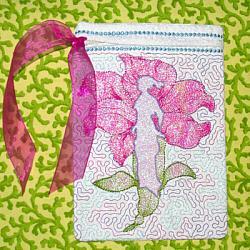 These designs are interpretations by permission, based on the works of Carol Honderich. 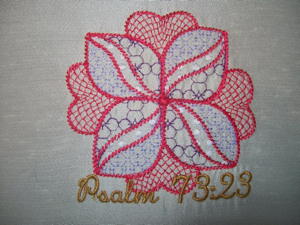 When complete this series will include 32 Psalm designs. 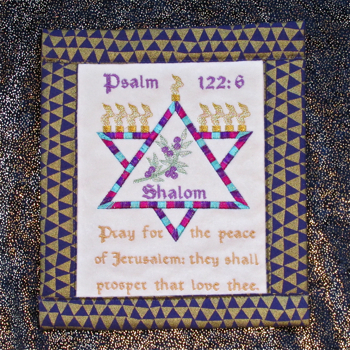 These beautiful designs are a perfect way to showcase a statement of faith and the promises of God, wonderful for quilting, wall hangings, bible covers, pillows and more. 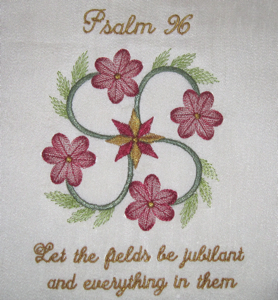 The Psalm series is also perfect for creating a meaningful gift for your pastor or Sunday school teacher or a convalescing friend. 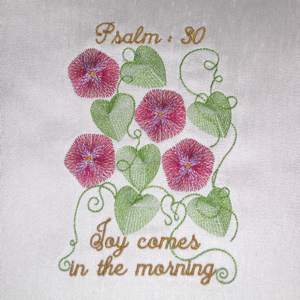 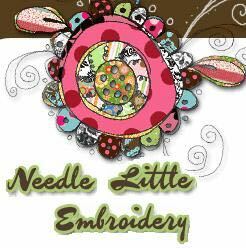 Beautiful when stitched individually and framed for display, adorning table scarves or stitched as a sachet to tuck inside a drawer. 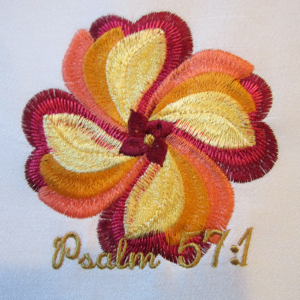 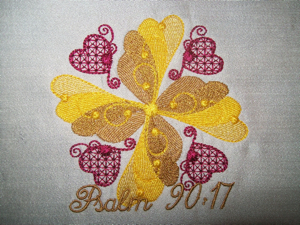 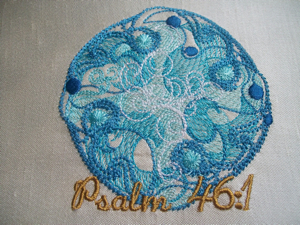 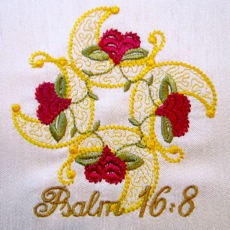 These quick stitching designs are a perfect way to give a gift of comfort and encouragement, or just share God's word.